It's time for another challenge at 'Tis The Season! This week we have a nice easy sketch, and of course I had to use Holiday Home on it. 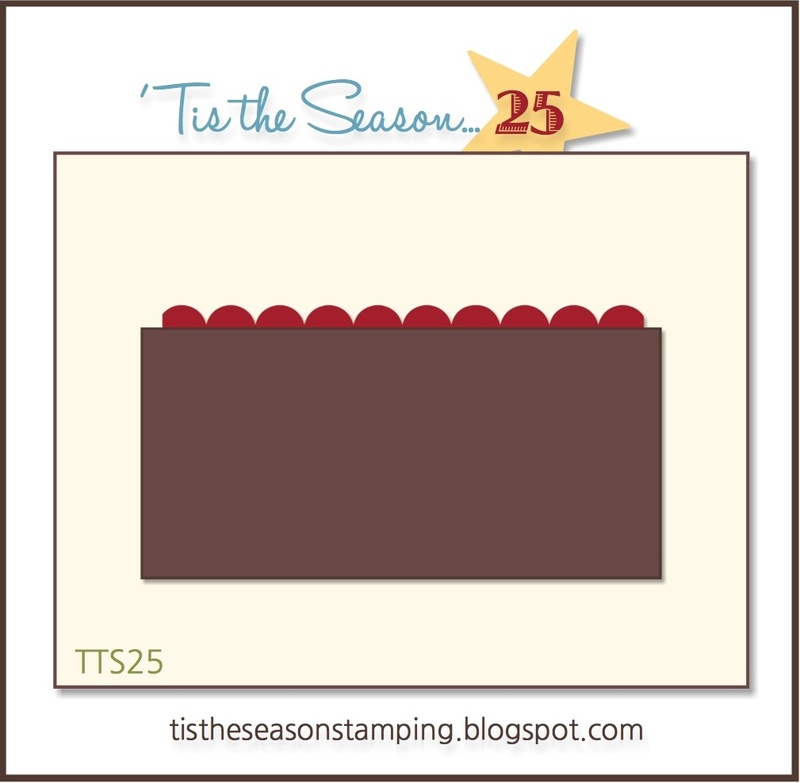 Its definitely my favorite new set from Stampin' Up! 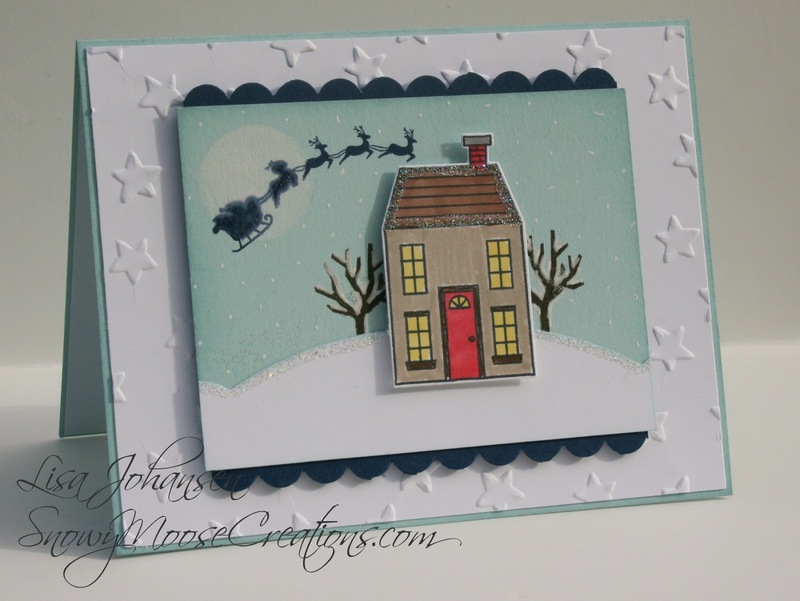 I created a very simple Christmas scene, with the house and snow all around, the moon in the night sky and Santa flying through the sky. In the winter we often have flurries that fall due to small breezes moving through the trees so my little snowflakes were added with that in mind. I love your card, Lisa! I almost used Santa and his sleigh on my card. Everything looks perfect!! Beautiful Christmas card, Lisa! What a lovely Christmas/winter scene. Oh gosh, this is so awesome! Love your house cards- each one so unique and creative!